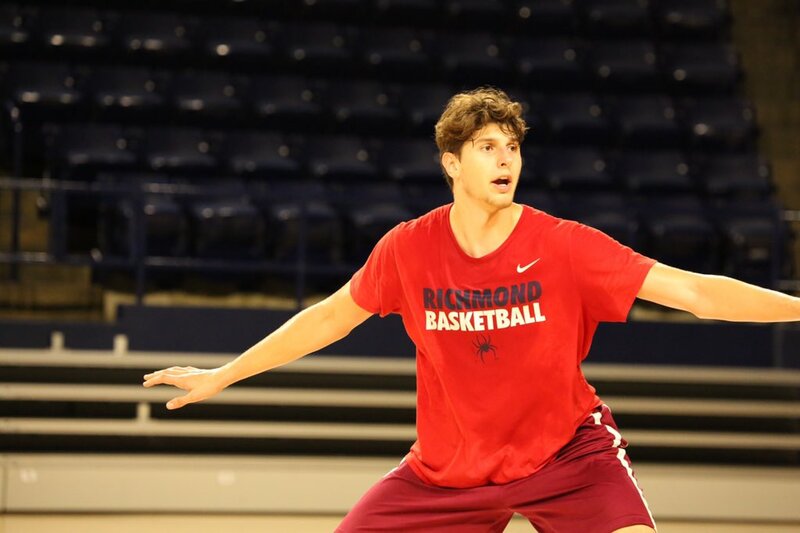 Freshman Focus is an A10talk series that takes a look at some of the incoming freshman for the upcoming 2016-17 season.We take a closer look at some of the more talented first year players who will take the court for the first time next season. Golden is a 6’9 F/C who hails from Winchester, Virginia. He spent his last two years of high school at St. James High School in Maryland. An injury sidelined Golden during his junior campaign. He rebounded in his senior year by averaging 17.2 ppg, 10.3 rpg, 3.5 apg and 1.3 bpg. Golden should play a crucial role for the Spiders this upcoming season. He’ll add to a frontcourt that is mostly unproven. Golden’s versatility will be cause match-up nightmares for opponents. He chose Richmond over A-10 foe George Washington. Palpable buzz at Richmond surrounding 6-10 freshman Grant Golden. Mature beyond his years. Will be a major contributor for the Spiders. Golden was Washington County Co-Player of the Year in 2015-16. He brings a knack for rebounding. This is an area in which the Spiders have lacked in since the beginning of time. He should compliment TJ Cline very well. Golden can immediately contribute for Chris Mooney. Aside from TJ Cline, the Spiders frontcourt is young and unproven. Golden will have an opportunity to get big minutes from day 1. Golden will have the hardest task of all three incoming freshmen. He will be in charge of protecting the paint for Chris Mooney. Defense is what the Spiders need, and Golden is very capable of bringing it. He also adds a viable scoring threat. Golden shot 42.9% from three in his senior year. His ability to step out and knock it down will cause matchup nightmares for opponents. A guy like Golden will make the Spiders contenders in the future. Follow us on Twitter, Like us on Facebook, and come by our forum to discuss A10 Hoops!